Springtime is officially here, and while it doesn’t quite feel like spring (it’s actually been pretty chilly here in Dallas), Easter is already upon us! 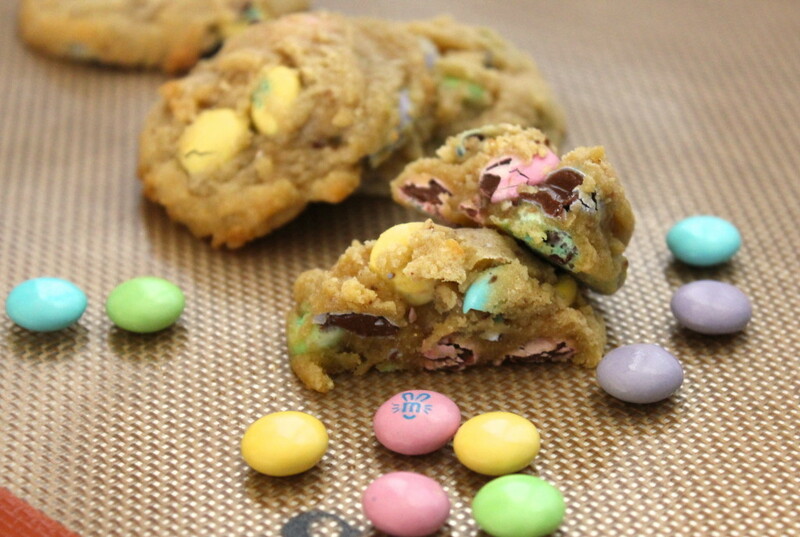 If you’re feeling festive, here’s a great recipe adapted from my friend Averie over at Averie Cooks for soft and chewy M&M cookies. 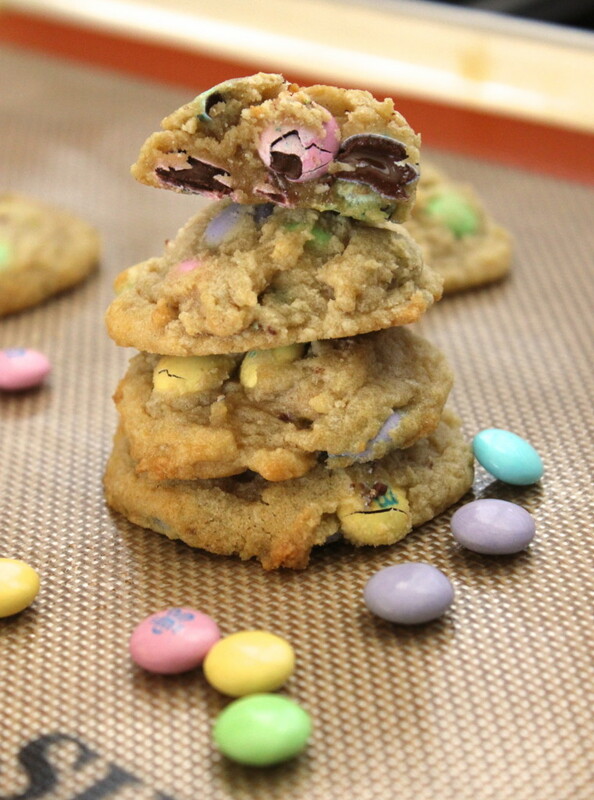 This recipe is so tasty, you could probably use it as a chocolate chip cookie recipe and substitute M&Ms for chocolate chips or chunks or even white chocolate and cranberries. I’ve actually never had a cookie with just M&Ms. I’ve had monster cookies but those include oats, M&Ms, chocolate and peanut butter. Funny story. As a little elementary school kid, I did not like M&Ms. My mom would pack me a ham & mayo sandwich, chips, fruit, and a dessert. I loved it when she included Rice Krispies treats, Kudos granola bars, or money to me buy the Blue Bell ice cream sandwiches at school. However when she included that brown package of milk chocolate M&Ms I was a little disappointed. Not sure why I didn’t like them, but I didn’t. Years later, I’ve come to love all the M&M varieties and my all-time favorite are the pretzel M&Ms. If you haven’t tried them, go to the store right now! 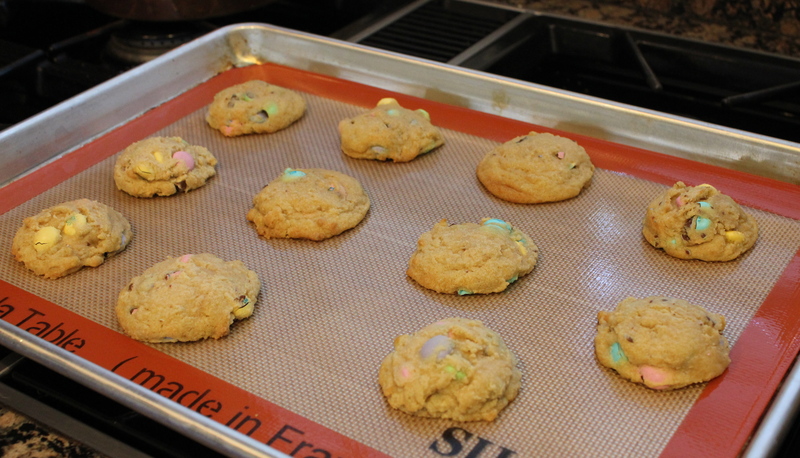 (You could even use them in this cookie recipe). I would have used them, but I wanted to use the pretty pastel milk chocolate M&Ms in honor of Easter. Enjoy and Happy Easter weekend! 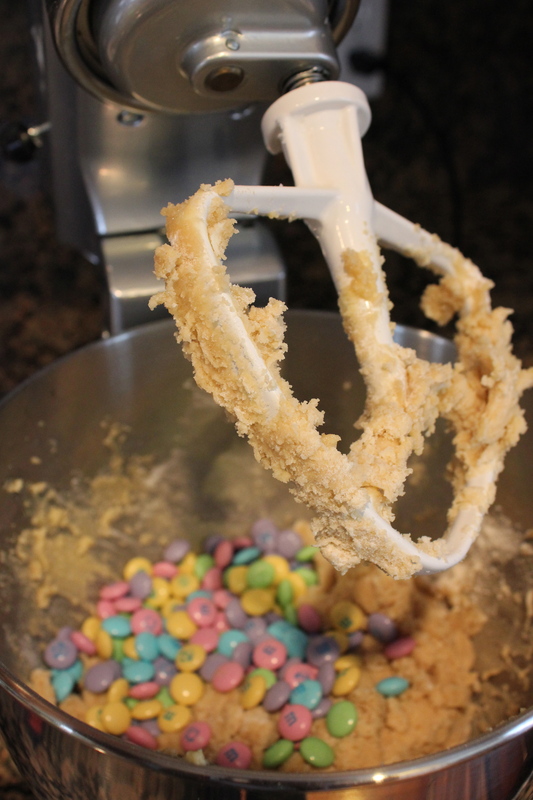 Beat butter, sugars, egg, and vanilla in a stand mixer. Add flour, cornstarch, baking soda and salt and beat some more. Add the M&Ms and gently fold (or do so by hand). Now for the hard part: Shape into 2-inch balls and place them in the refrigerator for 2 hours or up to 5 days. Trust me on this… if you let the cookies set up in the fridge they will not only taste better, but they won’t spread as much. Place on silpat-lined baking sheet or parchment paper and bake for 8-10 mintues at 350 degrees F.
Let cool for 5 minutes on the baking pan. 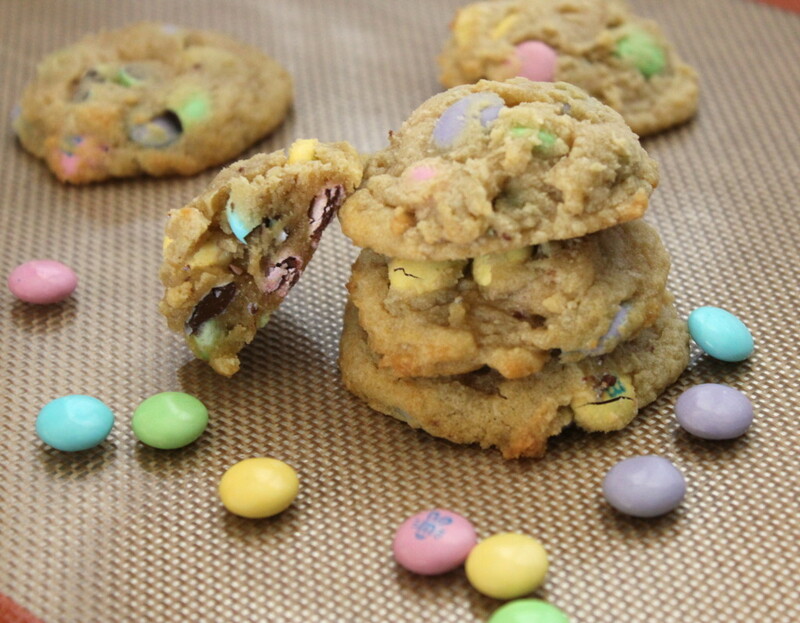 Serve with a tall glass of milk and more M&Ms!! 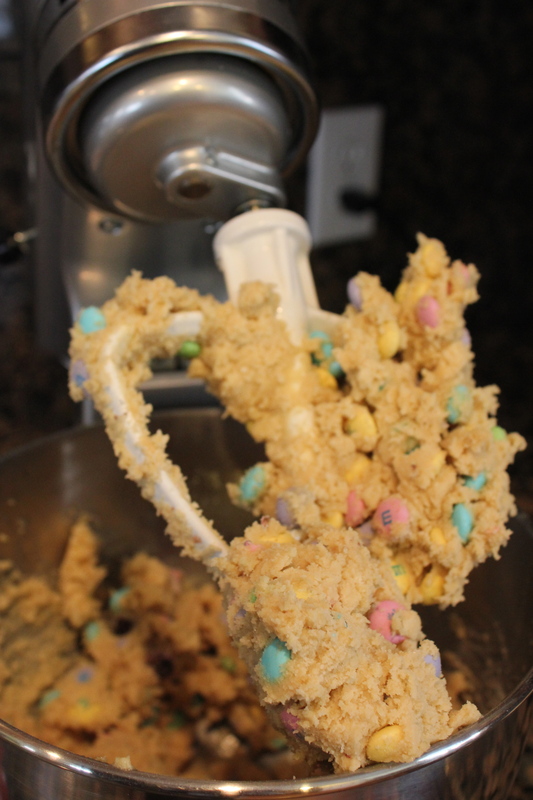 To the bowl of a stand mixer fitted with a paddle attachment, combine the butter, sugars, egg, vanilla, and beat on medium-high speed until well-creamed, light and fluffy, about 5 minutes. Stop, scrape down the sides of the bowl and add the flour, cornstarch, baking soda, salt and mix until just combined, about 1 minute. Add M&Ms and fold in by hand. Preheat oven to 350 degrees F, line a baking sheet with a silpat non-stick baking mat, parchement or spray with cooking spray. Bake for 8 to 10 minutes, until edges have set and tops are just beginning to set, even if slightly undercooked, pale and glossy in the center. 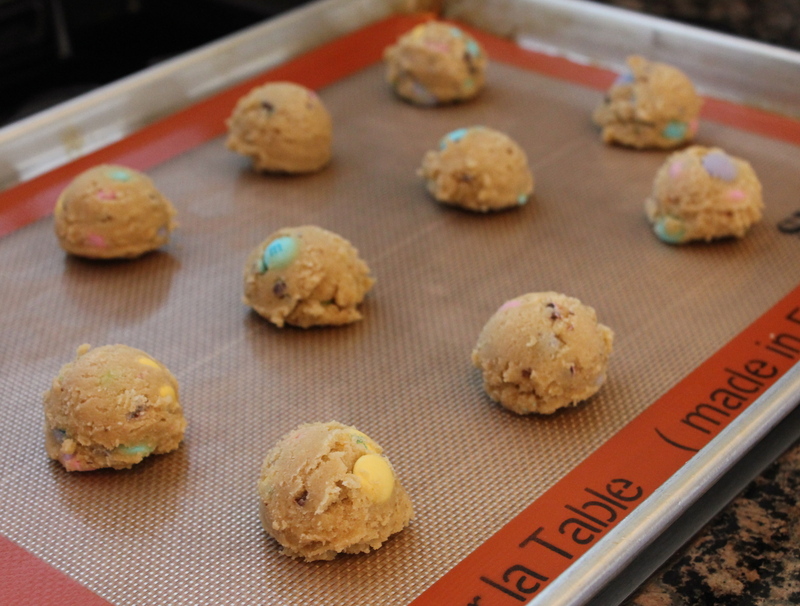 Do not bake longer than 10 minutes as cookies will firm up as they cool. 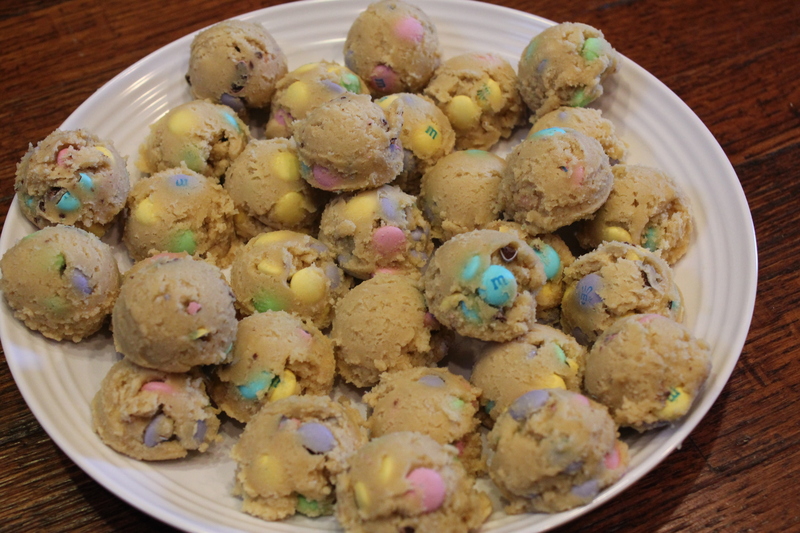 5 Responses to "Easter M&M Cookies"
These cookies were great. We ate them up in no time. Very pretty for Easter too! Sabrina made these! They were excellent. I posted them on my FB! You can’t beat them! 🙂 Did you use Easter color M&Ms? What’s great is you can substitute just about any M&M flavor and/or color!